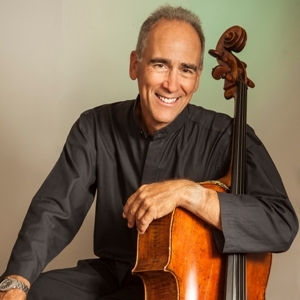 Carter Brey was appointed principal cellist of the New York Philharmonic in 1996, and made his subscription debut as soloist with that orchestra the following year. He has appeared as soloist with many of America's major symphony orchestras, collaborated with numerous ensembles including the Tokyo, Emerson, and Harlem string quarters, and performed and recorded with such artists as Christopher O’Riley, Garrick Ohlsson, and violinist Leila Josefowicz. Mr. Brey is also cellist in the New York Philharmonic String Quartet, which debuted in 2017 and performs widely throughout the U.S. He rose to international attention in 1981 as a prizewinner in the Rostropovich International Cello Competition; subsequent appearances with Mstislav Rostropovich and the National Symphony Orchestra were unanimously praised. His awards include the Gregor Piatigorsky Memorial Prize, an Avery Fisher Career Grant, and Young Concert Artists' Michaels Award. A faculty member of the Curtis Institute of Music, Mr. Brey was educated at the Peabody Institute as a student of Laurence Lesser and Stephen Kates, and at Yale University, where he studied with Aldo Parisot and was a Wardwell Fellow and a Houpt Scholar. He lives in New York City with his wife, Ilaria Dagnini Brey. They have two adult children, Ottavia and Lucas.